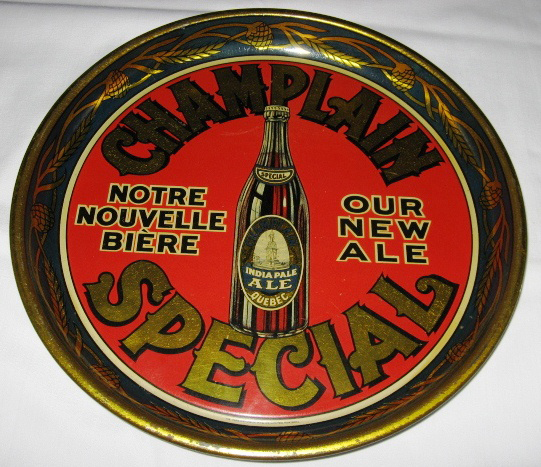 This tray for Champlain Special beer features the image of the beer bottle and the tagline in French and English “La Biere Parfaite” / “The Perfect Ale”. The tray is a 13″ round manufactured by Thos. Davidson Mfg. Co. of Montreal, Canada for Champlain Brewery and dates to the 1930s.